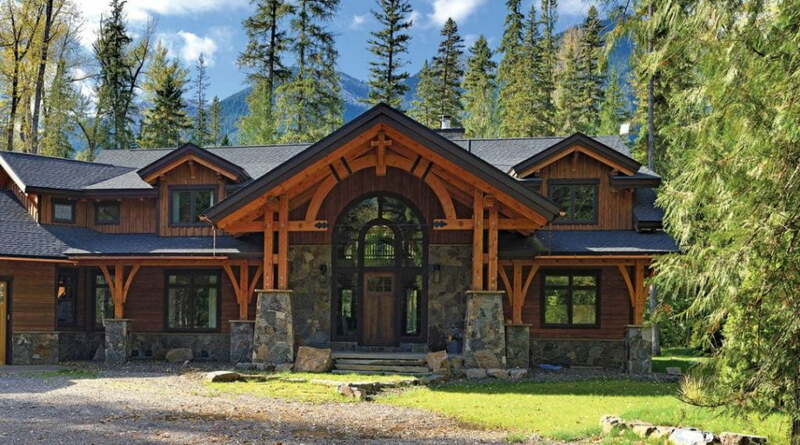 Living in this luxurious timber framed homemade by Canadian Timberframes Limited will make you wonder if you’re at home or in a hotel. 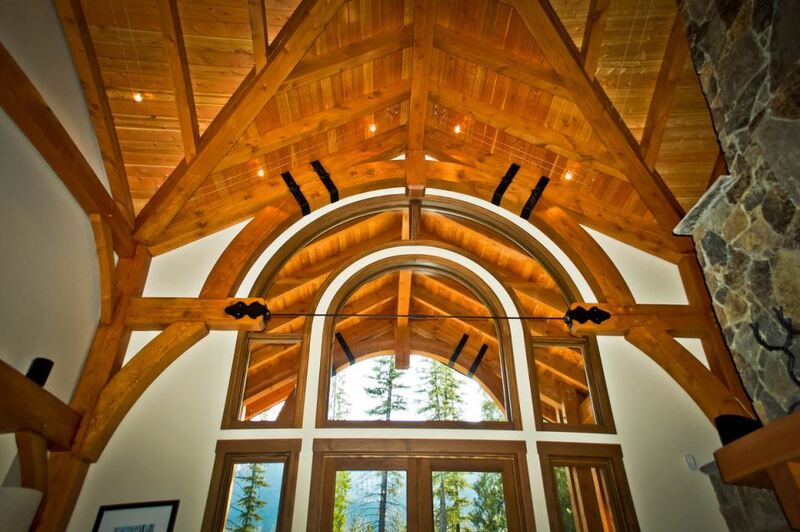 The attention to detail is clearly visible in the custom-made home the creators forged to the liking of their client. 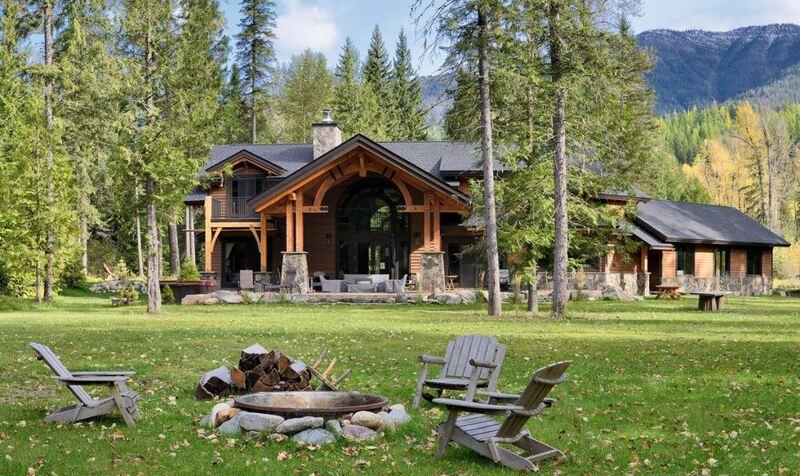 This fancy house in Fernie, British Columbia reflects a unique personality. The yard is grassy enough to camouflage with the ground around it. 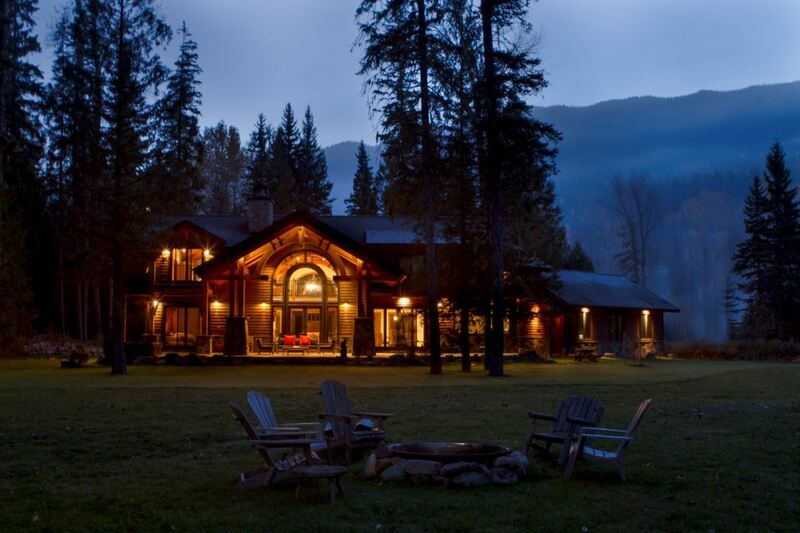 Chatting under the starry night with the comfort of a warm bonfire can boost closeness among friends of families. Guests are welcomed by a church-like porch and door. The interior is spacious which is suitable for parties and reunions. 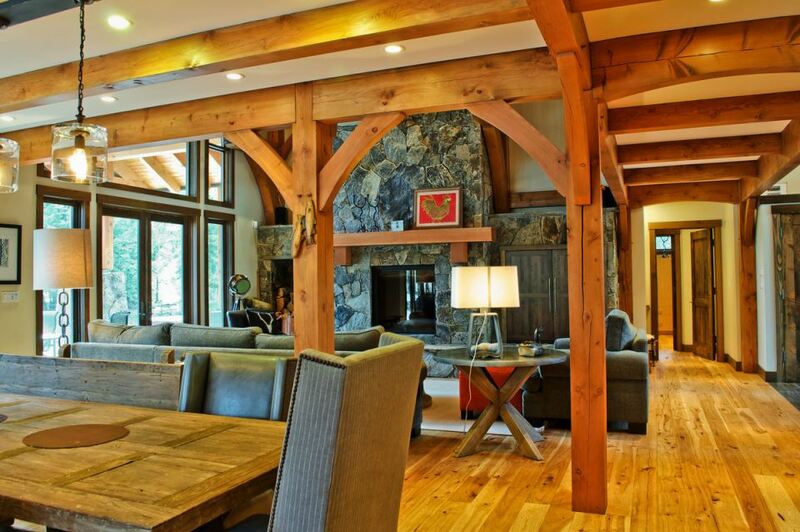 The living room is alongside the dining area. 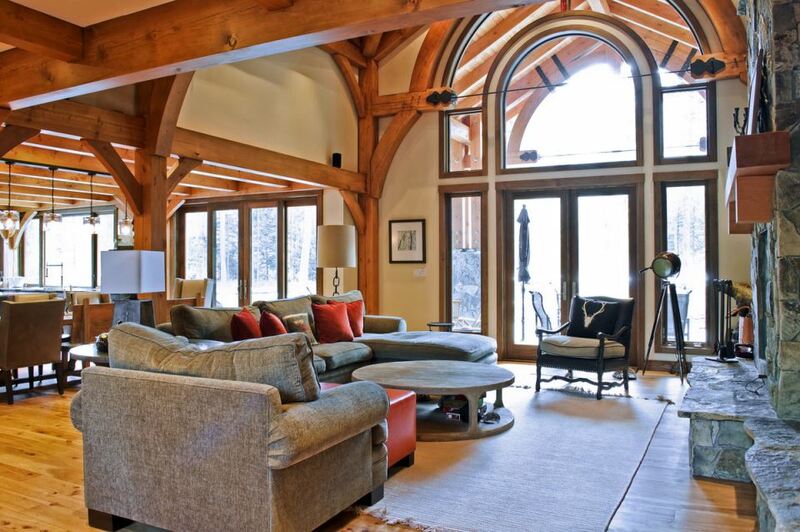 Both spaces are surrounded by full-length windows and an arch window, inviting natural light into this classy abode. The living room is occupied by a circular wooden center table and a sofa set. These are placed in front of a sophisticated fireplace. 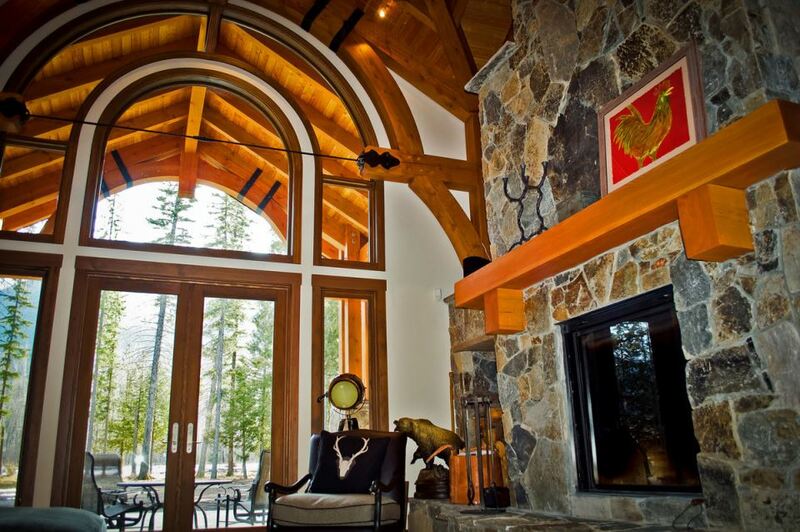 A glass door can be found beside the fireplace that leads to a veranda. 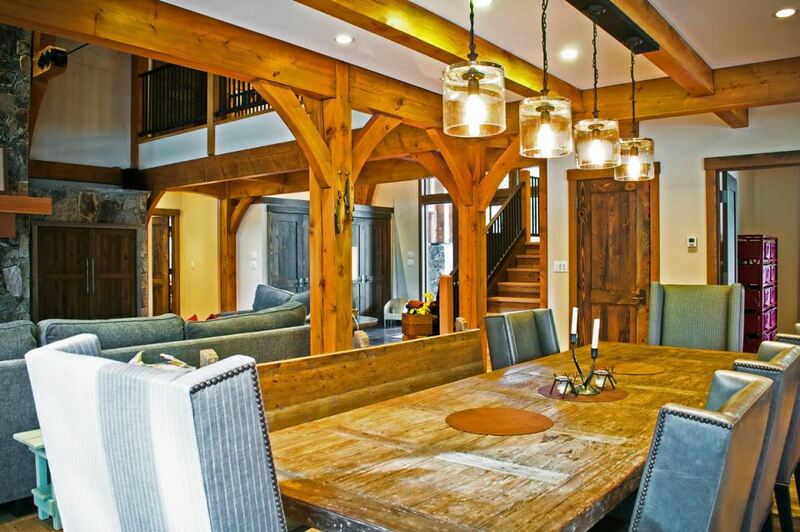 In the dining area, there’s wooden table that can accommodate ten people. 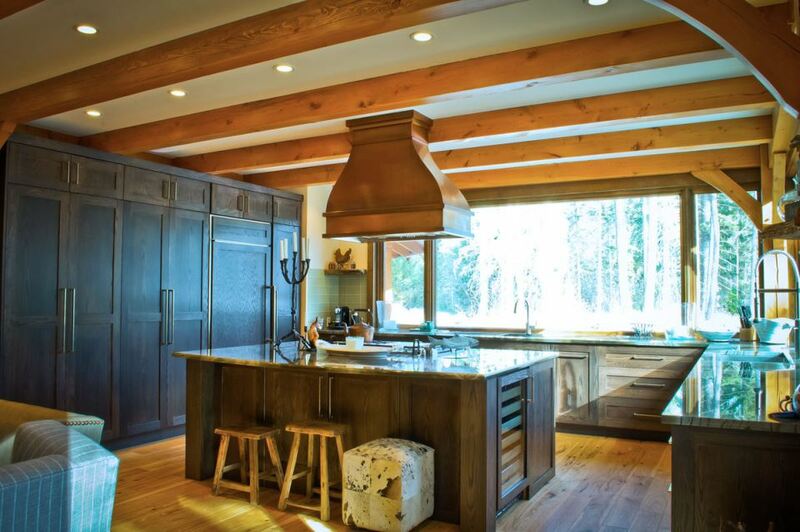 The kitchen is dashingly designed with built-in cabinets, an island, and countertops made of marble. The bedroom is modest. 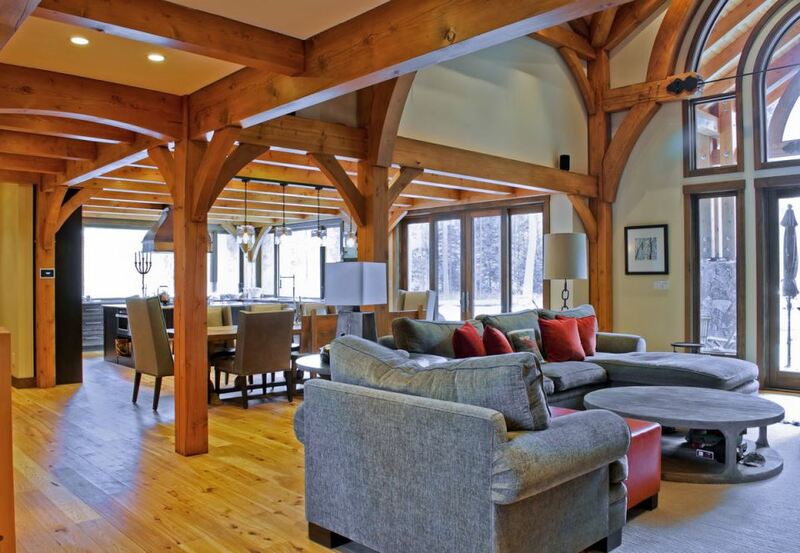 It has a queen-sized bed, a chaise at the foot of the bed, and a fireplace to provide both warm and added finesse. It features a sliding glass door that leads to another veranda where it’s best to have a cup of coffee, the scenery, and fresh air. 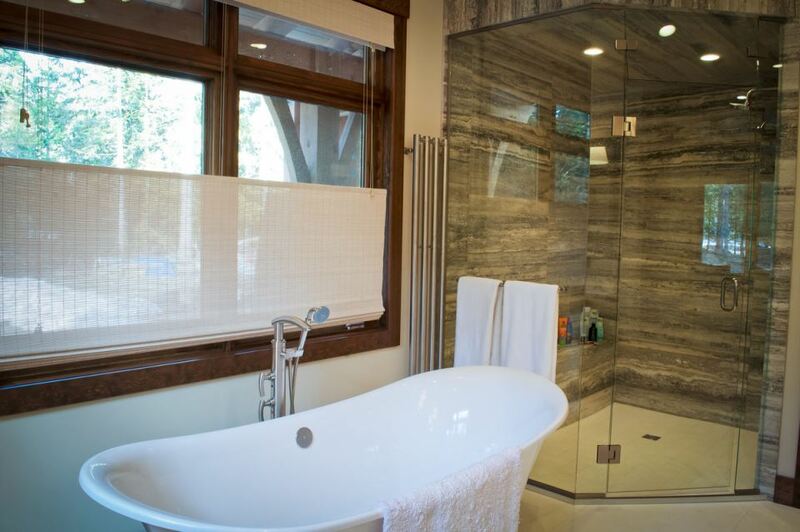 The house’s showers are walled with glass. The bathroom also has a bathtub. At night, the glass windows provide glow at night from the light coming from inside. Burn the walls of miscommunication over a bonfire just outside the house. 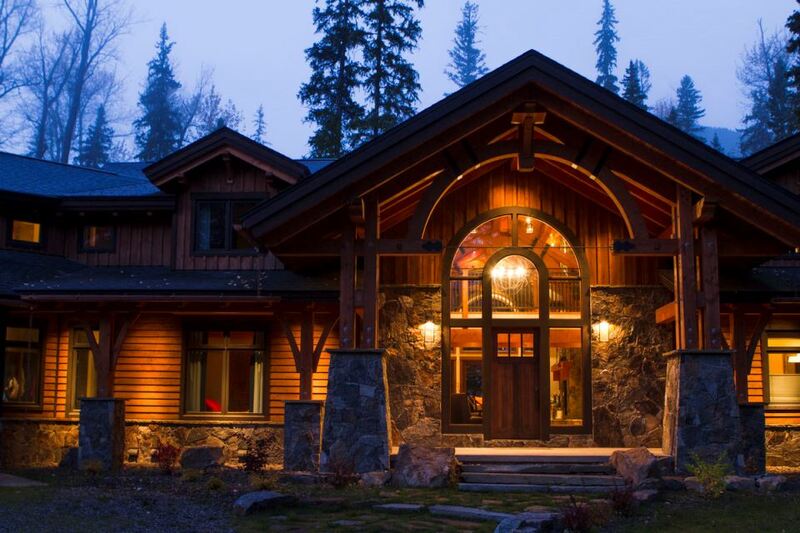 Say “Wow” just by looking at the exterior. Posh! Just by looking at the facade. The whole clan can fit in this vast indoor. Just relax and enjoy the company in this comfortable lounge room. The mini chandelier above the table stole the spotlight. 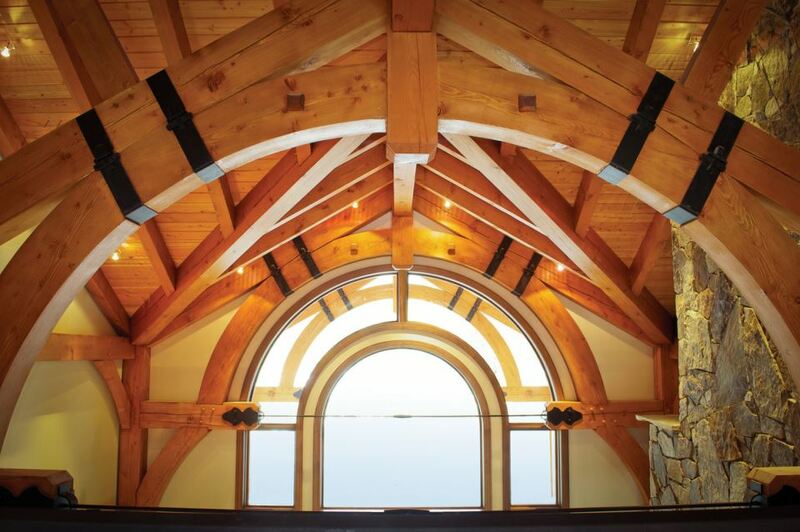 This arch window gave softness to the room. 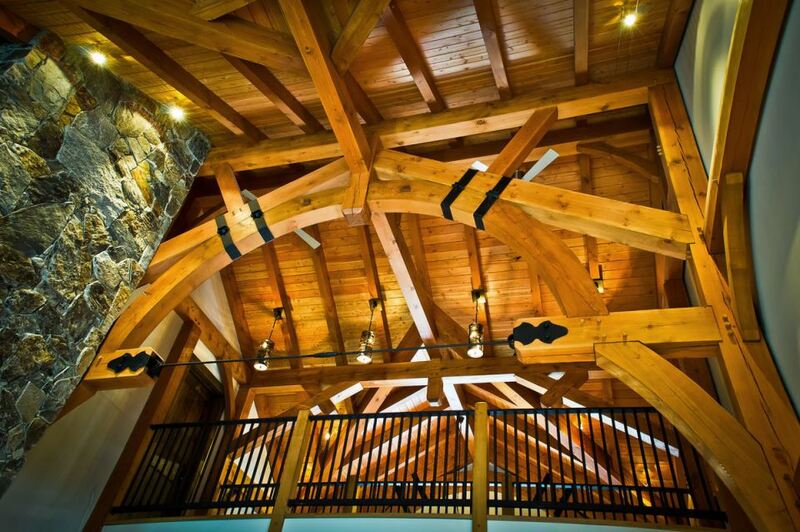 The roof is made of timber arch-based trusses. A painting of a chicken can bring life to a room. Stressed? 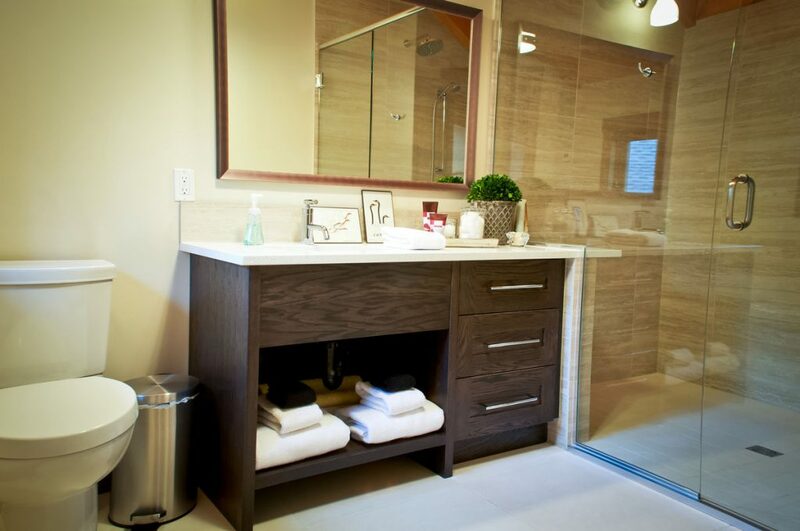 A soak in this porcelain tub is all you need. Bring those curtains down and cozy up with your special someone in this private bedroom. 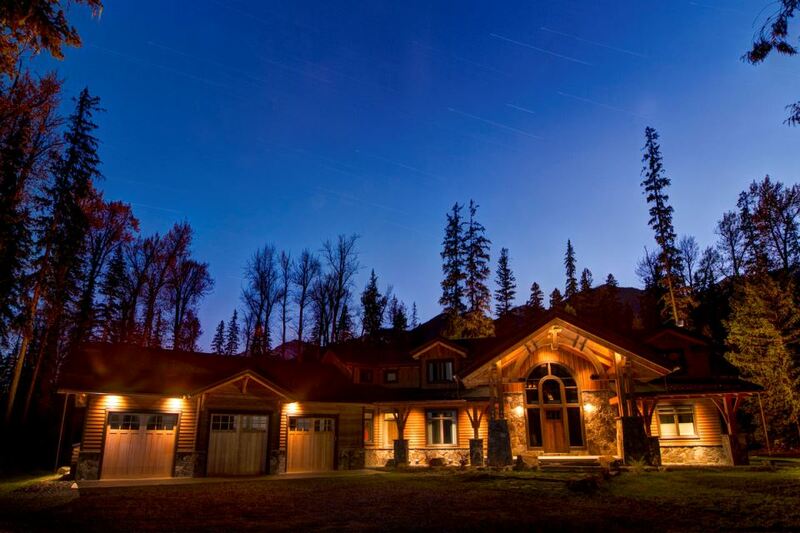 This house is photographic, especially under the stars.